A Professional and creative Newsletter for general purpose. 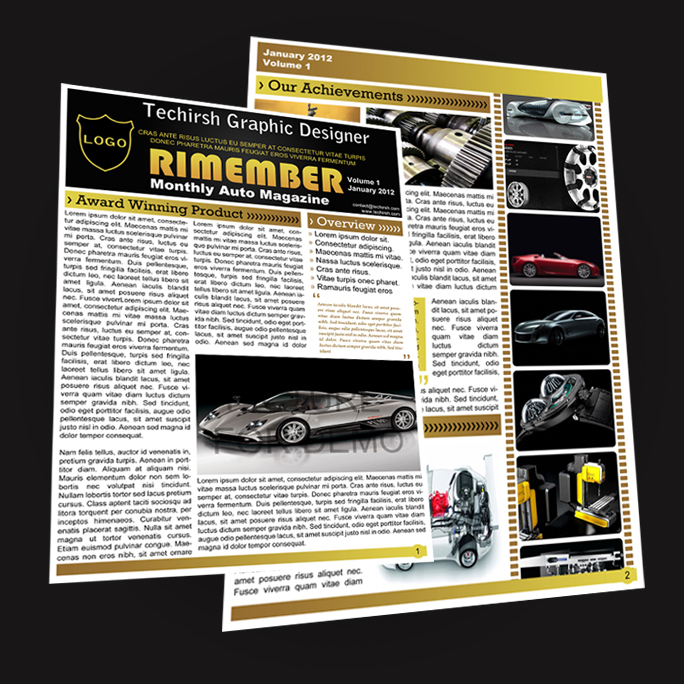 I designed it keeping Automobile as a product for the Newsletter. It is designed with High Resolution and professional fonts which will give you a very good quality while taking its print. Feel free to use it.